All Your Frequently Asked Questions – Answered! - What is the Concept of Full-Time Dedicated Hiring? In the full-time Dedicated Hiring approach, you get to hire dedicated developers on a fixed price per month, like your own salaried employee. Optimized workflow and maximum efficiency are what you get with this engagement model – offering 160 hours of work per month. Project scope and other specifications should be mentioned at the beginning and the payment should be made in advance, improving the final outcome of the entire project. Each dedicated developer works 20 days a month and 8 hours a day (5 Days of 8 hours each x 4 weeks), which is 160 hours a month. However, if there are more than 20 work days in a month, we offer the extra hours at completely FREE of COST! - Are the Dedicated Developers a Part of Your In-House Team? Yes, of course. All the employees in our in-house team are permanent. 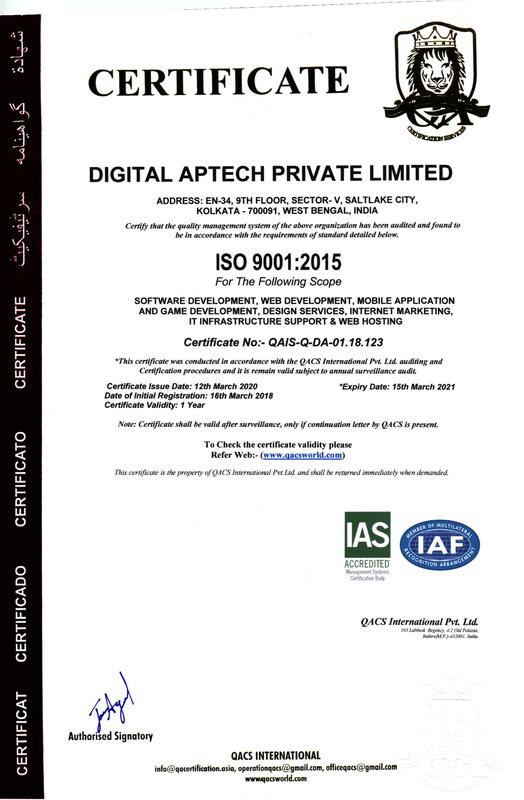 Being full-time employees of Digital Aptech, they are all bound by stringent policies of security rights, decorum, intellectual property rights and conduct which are an integral part of professional ethics. - What is the Concept of Part-Time Dedicated Hiring? If you go for part-time dedicated hiring, you will get 80 hours of work per month. You have to make an advance payment and let the developers know about your project scope and other specifications. However, in case there are more than 20 working days in a month, you will get the extra working hours at completely FREE of COST! - What is Hourly Hiring? Hourly hiring enables you to pay in an hourly basis. However, this model is more expensive compared to the Dedicated Resource Hiring Model. - What are the Payment Models? We have all types of payment models to suit your budget and requirement – hourly, weekly and monthly. Digital Aptech accepts payment through PayPal, Credit Cards and Wire Transfer. If you are still not clear about the payment models, please contact us and our Account Manager will explain you in detail. - Can I Have a Look at the Developer’s Portfolio and Resume Before I Hire Them? Of course, you can. You can handpick the developer who you think will best suit your requirements – but we are sure that you will have a tough time selecting the best out of our huge talented pool of dedicated developers. - Is There Any Minimum Time Period for Hiring a Dedicated Developer? Yes, we recommend that you hire a dedicated developer for 6 months at least. However, we understand that you have budget concerns, and so, we have reduced the time period for hiring a dedicated developer to 3 months – for your convenience! - What If the Developer That I Have Hired, Resigns? 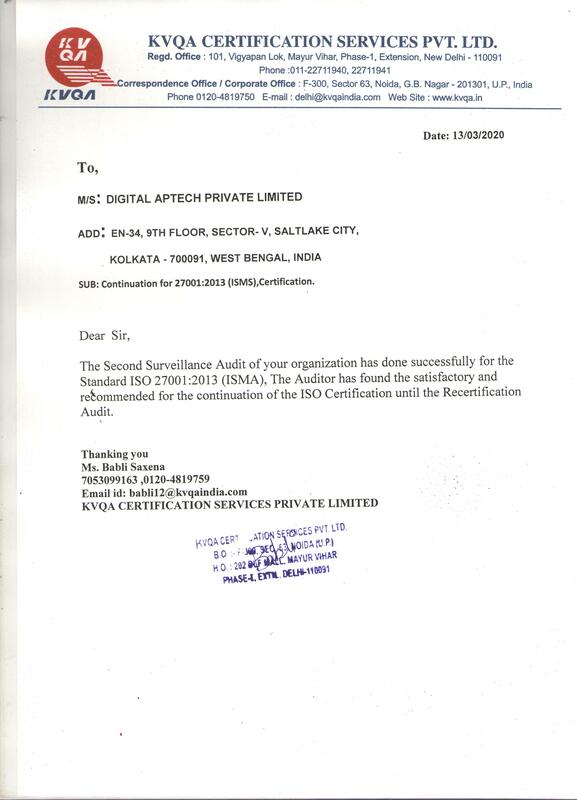 Each and every employee of Digital Aptech is bound to provide a notice period of 60 days after s/he resigns from the position held in our company. Therefore, we have enough time to replace a dedicated developer with someone better ensuring a smooth delivery of your project. For your information, Digital Aptech has a low attrition rate – all thanks to the best pay and perks facilities in the industry that we offer. - Do I Have the Option to Change the Developer Whom I Have Already Hired? If you are not satisfied with the work of the developer whom you have hired, you can have him replaced by submitting a formal application to the senior management at Digital Aptech. However, there have to be solid reasons for the replacement, with credible evidence of any shortcomings. - Will I Be Billed If My Hired Dedicated Developer is Absent? No. You will not be charged if your hired dedicated developer is absent. - Are There Any Hidden or Extra Charges? No. There are no extra costs involved in the hiring of dedicated resource model. - Can the Billing Model Be Changed Once the Project is Underway? Yes it can be, if the situation demands so. Also, if we regard it fit upon mutual agreement, we can surely provide a customized billing model – just for you! - Is My Ownership of the Final Results from the Project, Absolute? Yes. You will have complete ownership of your project including the source code, copyright and intellectual property rights. - How Frequently Will I Receive My Project Reports? You will receive regular project reports and feedbacks. The frequency will be decided before the project is started and we will make sure that our dedicated developers adhere to it. You may choose the frequency as daily, weekly or monthly basis. - Can Your Dedicated Developers Constitute My Offshore Team? Absolutely. And we encourage you to do so. It can save you half the cost and time that you were to invest in an on-site team of developers. - Do You Sign NDA? - Can I Work As a Reseller? Yes, you can. Please contact us for further details.